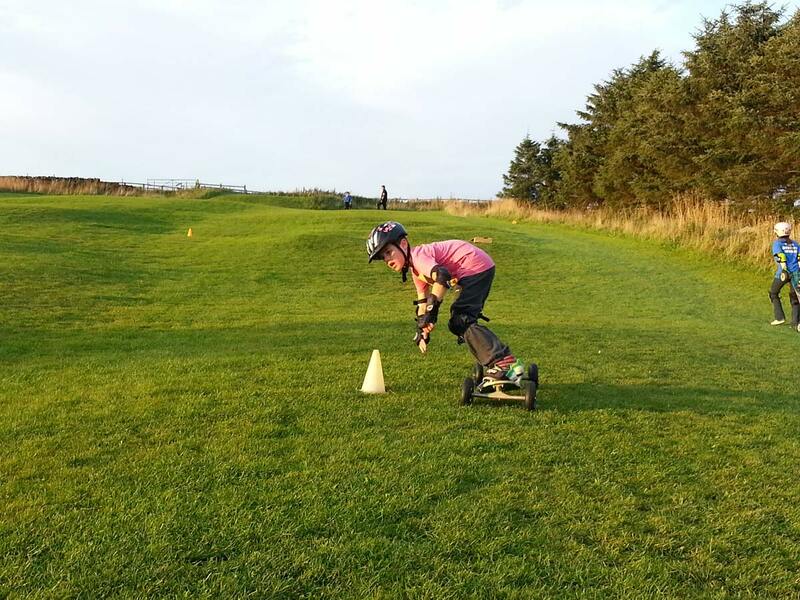 The Mountain boarding is now part of the Grass sledging and Dirt scooters activity, no need to choose which one you want to do, have a go on them all. 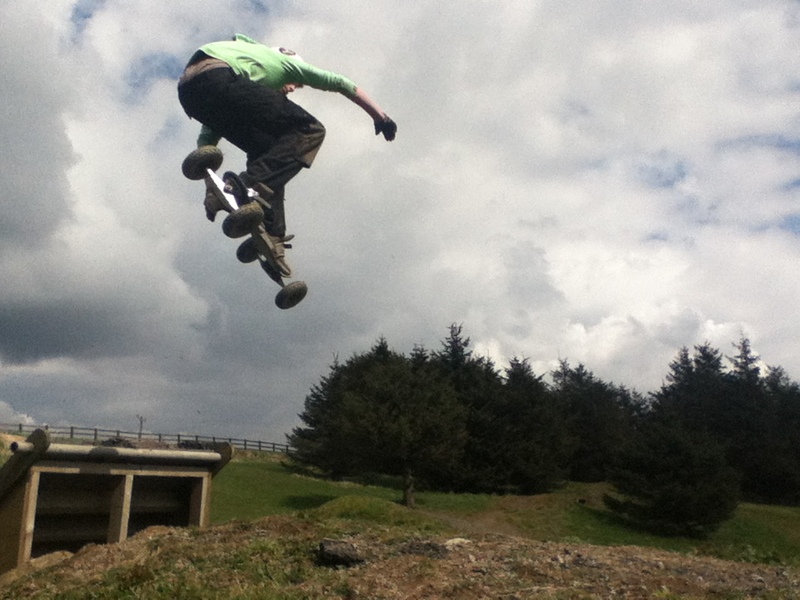 Ever wanted to go snowboarding or surfing but there’s no snow there’s no sea nearby. Well who needs snow or water? 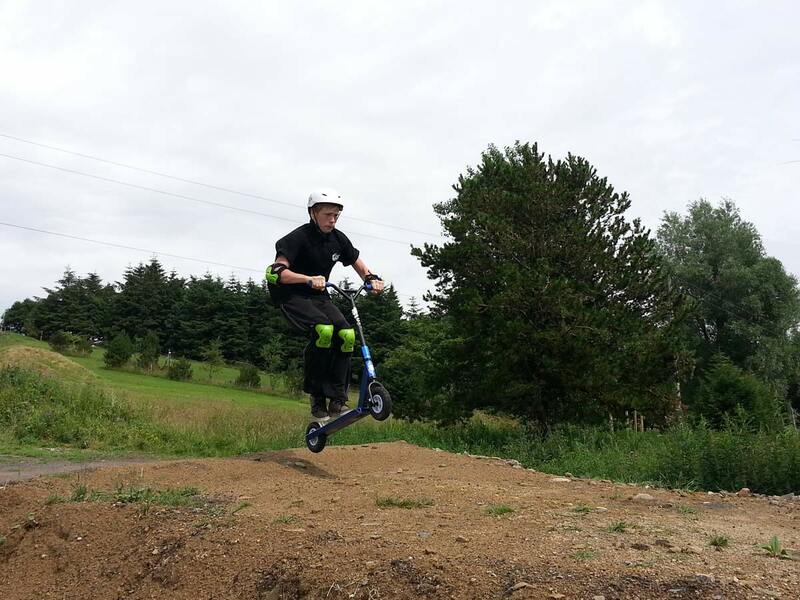 With 4 pneumatic wheels attached to the board the world is your oyster. 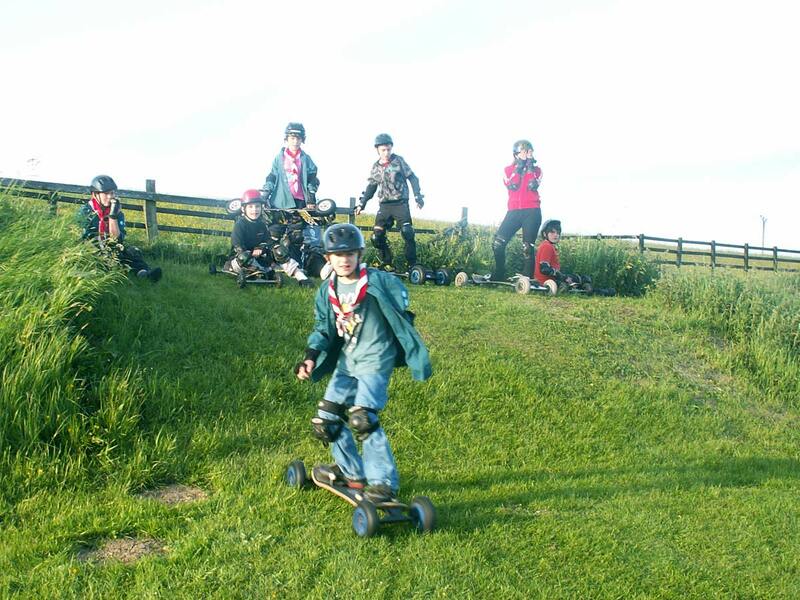 Mountainboarding is a relatively new sport which is gaining popularity and is now used as the training sport for some of the Worlds Olympic snowboard teams. 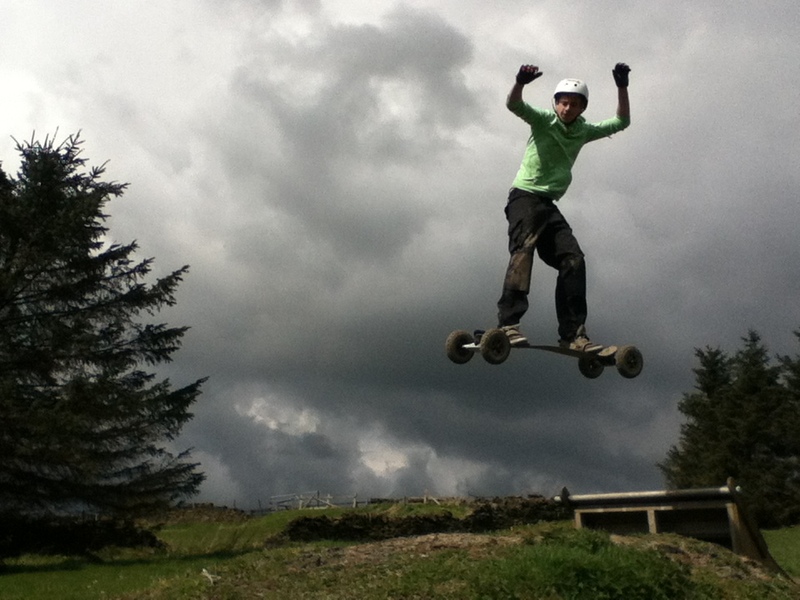 At Another World Adventure Centre, we have the UK’s first purpose built mountain board centre. With views from the top of our slopes covering West Yorkshire and as far afield as Derbyshire you really could be in Another World. 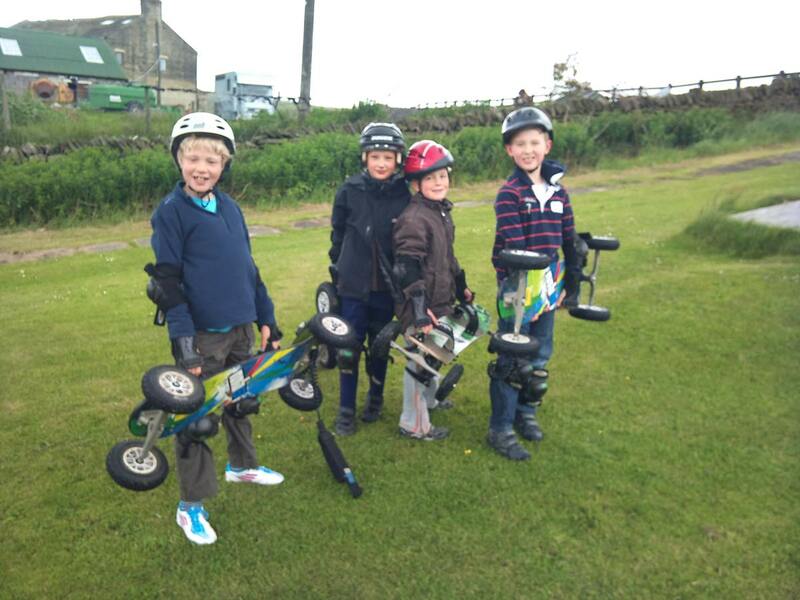 Please note this activity is seasonal and not available during winter.It is usually vailable from mid April – give or take a week or so, (it is weather dependant) till the end of November, again, give or take.